It is no secret that when a horror con comes to town, most of us are scrambling looking for pieces of our favorite accessories to create the quintessential ensemble. One of the most charming elements of attending a con is being surrounded by the creative and weird; two perfect combinations for one memorable weekend. 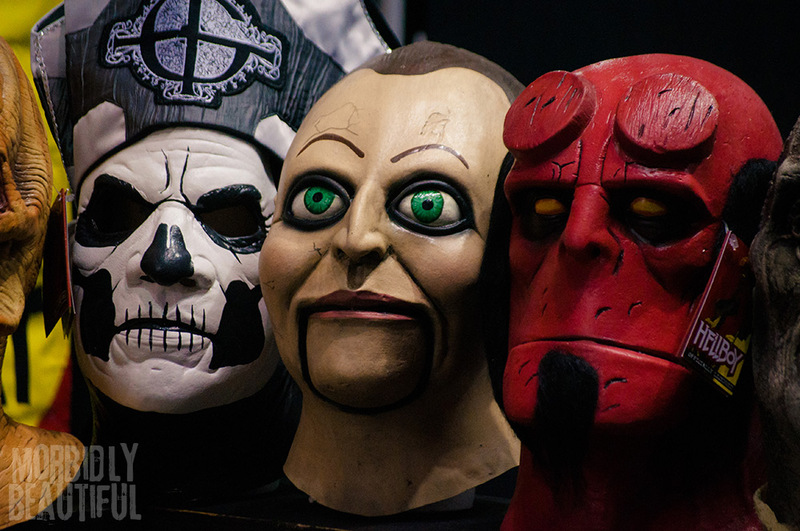 Sinister Creature Con celebrates the art and the artists behind the creativity. As horror aficionados, we get lost in the actual fiction aspect of the suspense; but, who is responsible for creating the amazing visuals? Who comes up with these story ideas? It’s these individuals that are truly the GOAT (Greatest Of All Time). 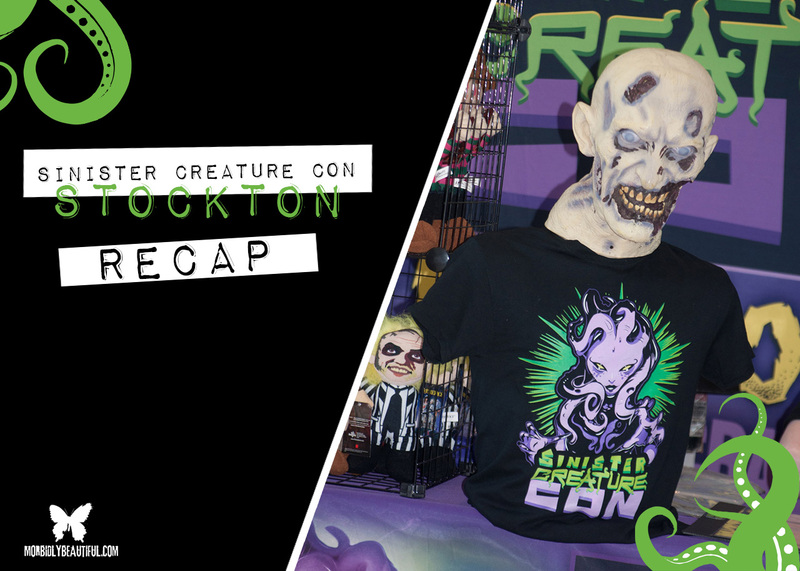 Guests trickled in out of Sinister Creature Con, including Wednesday Addams, Sam from Trick ‘r Treat and the every popular Freddy Krueger; there was something for everybody! 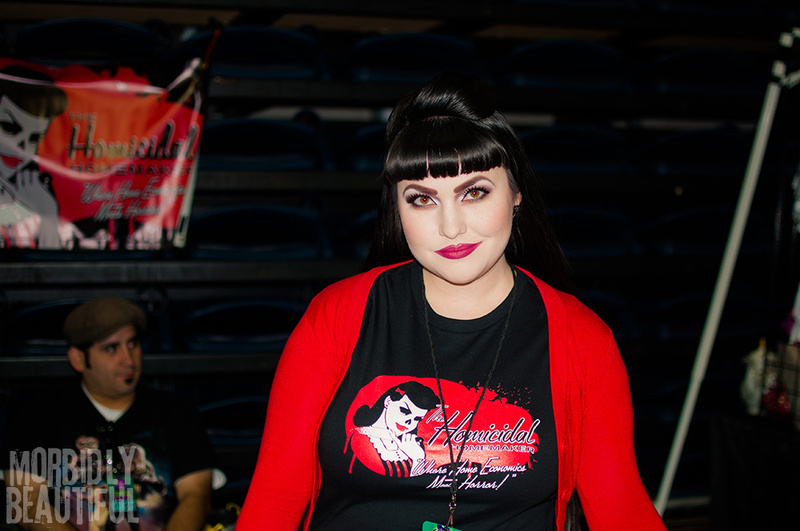 One of the vendors I was elated to meet was Kaci Hansen a.k.a The Homicidal Homemaker. “Where Home Economics Meets Horror!” This creative individual has been whipping up scary eats such as edible entrails and brain cake cookie jars in her California home and can be found tutoring away on her YouTube channel. Among the coveted guest list, I got to meet and greet with Katharine Isabelle (“American Mary”), Don Coscarelli (“Phantasm”), Heather Langenkamp (“Nightmare on Elm Street”), Brooke Theiss (“Nightmare on Elm Street 4: The Dream Master”) and Noah Hathaway (“Never Ending Story”). What truly separates this con from others is how personable you can be with your favorite stars. It feels less mechanical and more human; you leave feeling like you made a new friend. The vendor list was tightly packed with inspirational and motivational creatives. Among them was featured artist Erin Koskella, Alan Carnes and Ve Neill. Each shared their love of the craft and displayed their brilliant work to all those in attendance. Koskella took it to another level and actually began the transformation process on a lucky ghoul. Did you see her own dramatization of retracing her own face? Simply brilliant. Make sure you check out our gallery a couple of times! Having the celebrities on the same floor as the vendors was also great. It was nice to see our local loves checking out the exhibits and becoming guests like the rest of us. One suggestion: I did notice there was no surrounding music at the venue, and visual sounds effects are so key to making exhibits more attractive in nature. As we all know with horror movies, if you take away the suspense buildup through music — or that door that creaks at just the right time — the visuals become a little less spooky. But that’s a small complaint in an otherwise killer weekend. Feel like you missed out? Don’t fret! Sinister Creature Con returns this Fall October 14th and 15th, 2017 at the Scottish Rite Center in Sacramento, CA. See you there boys and ghouls!